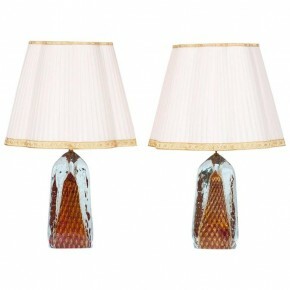 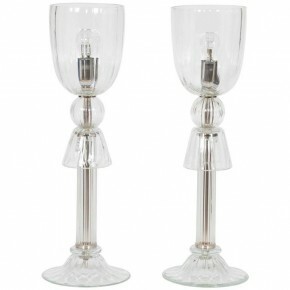 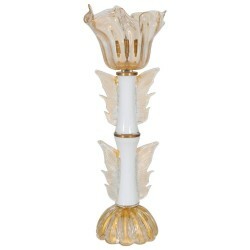 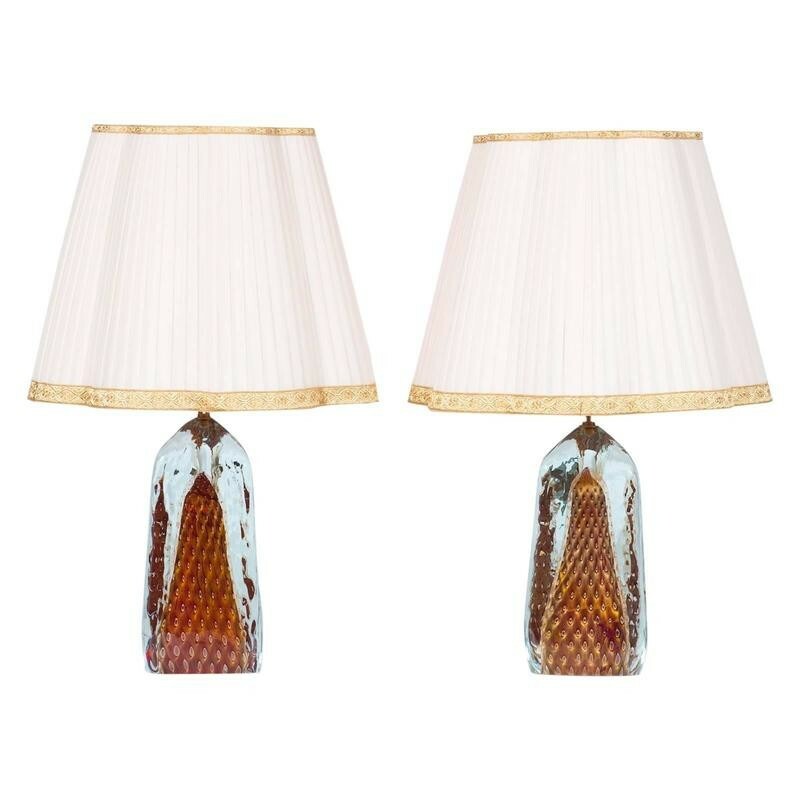 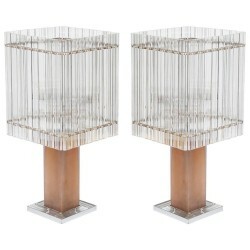 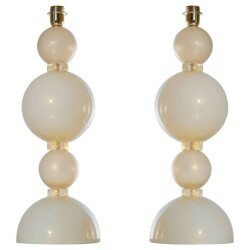 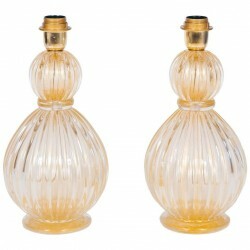 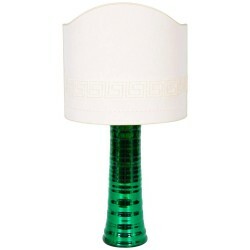 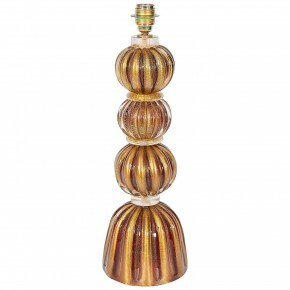 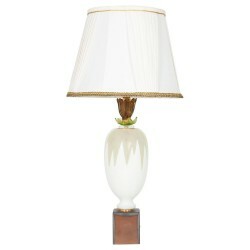 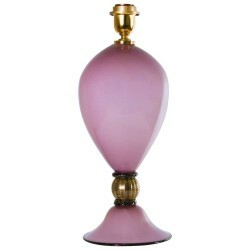 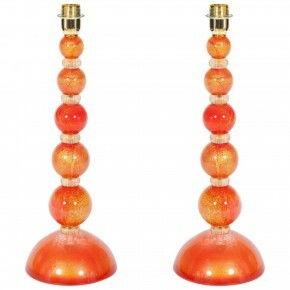 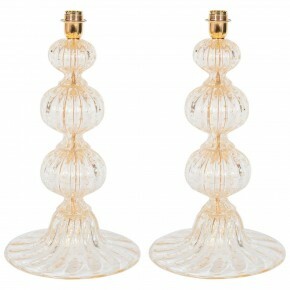 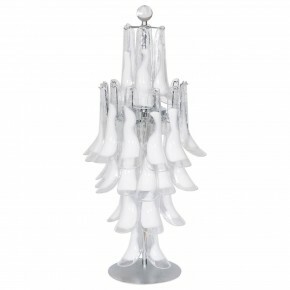 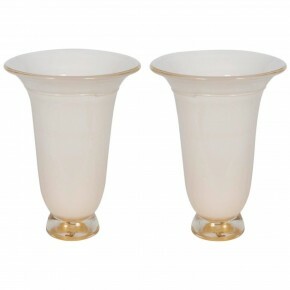 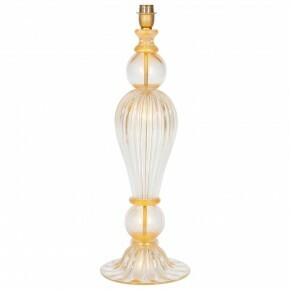 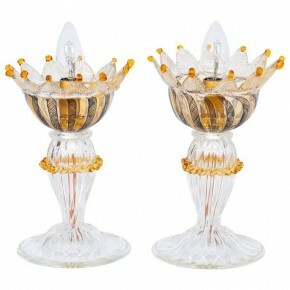 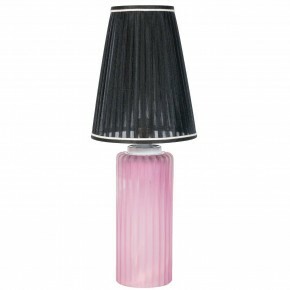 Elegant pair of Italian Murano glass table lamps. 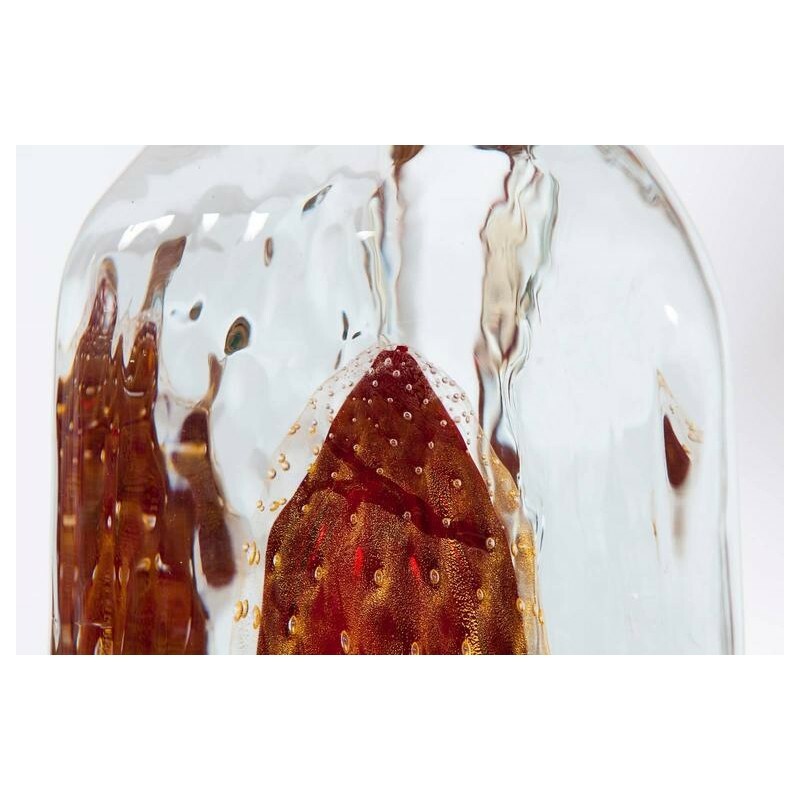 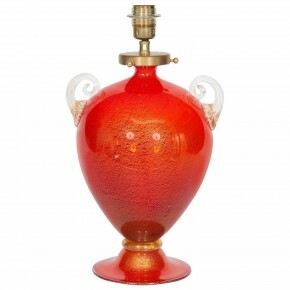 Color red, with 24-karat gold bubbles. 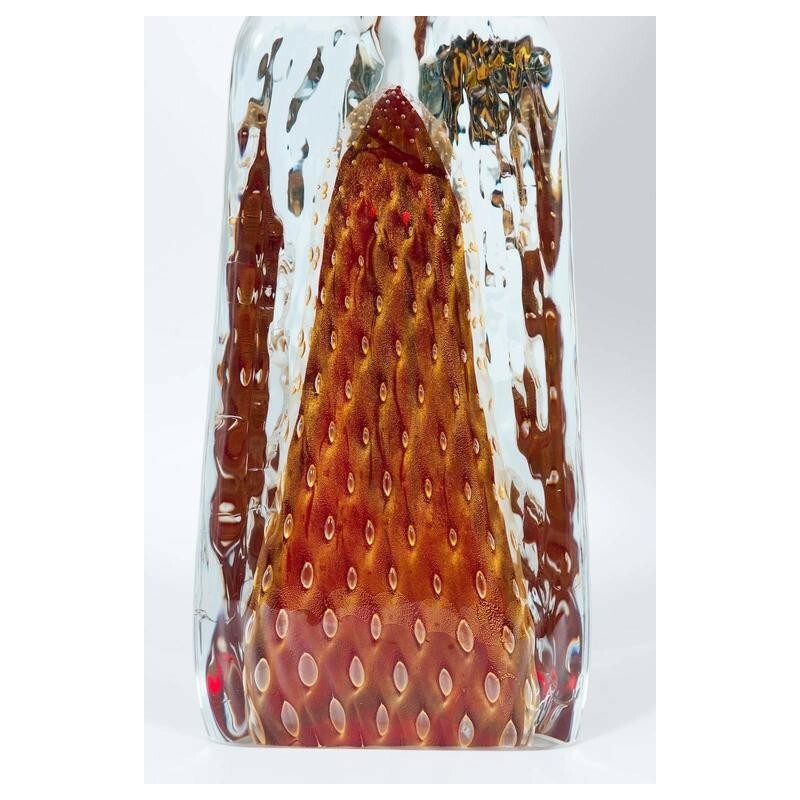 All submerged in transparent glass. 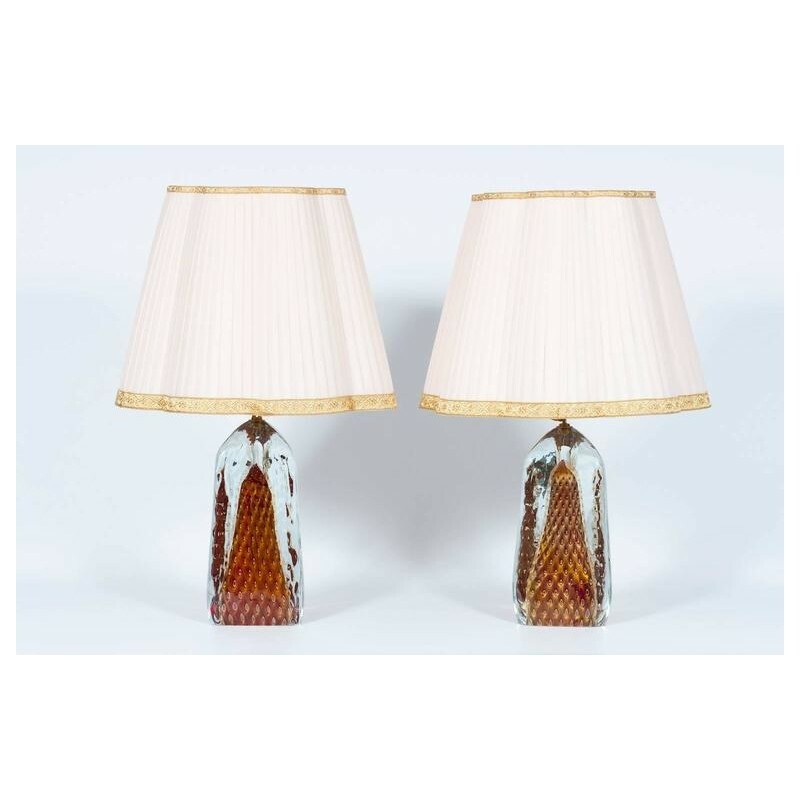 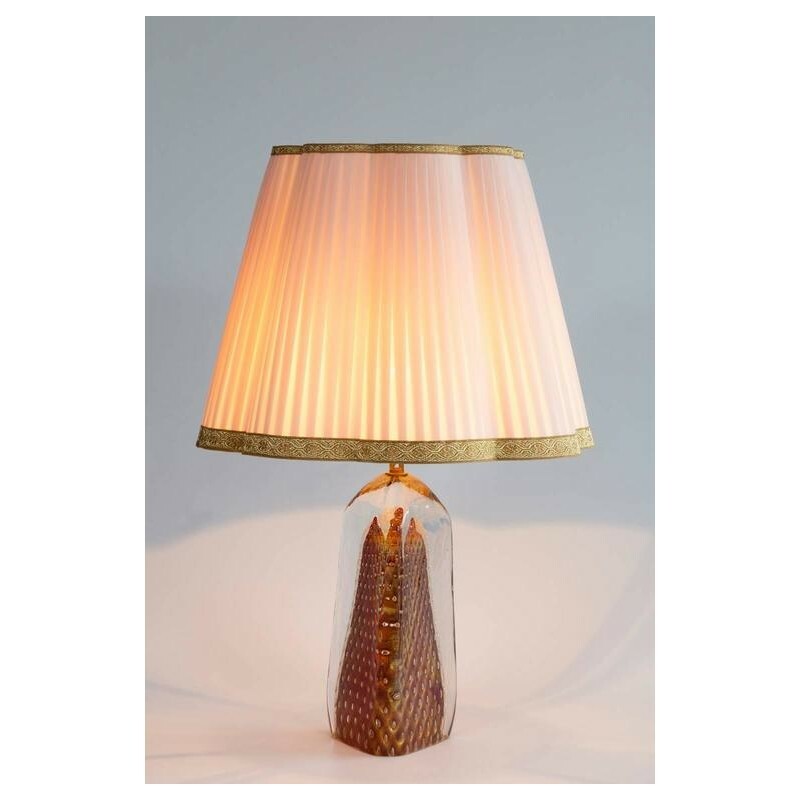 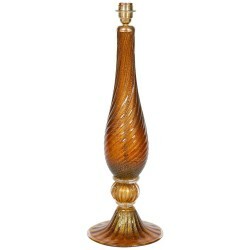 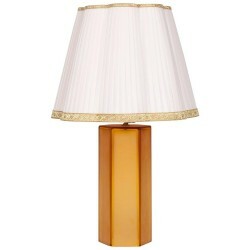 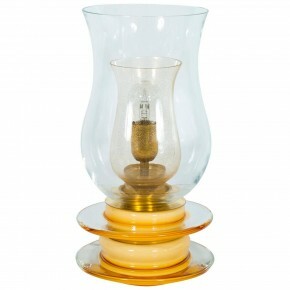 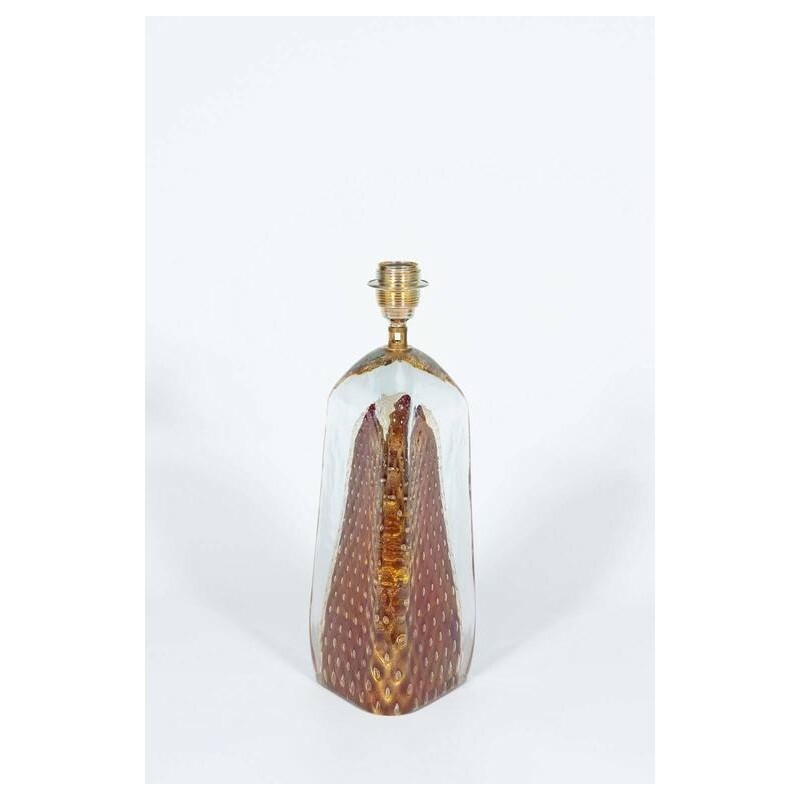 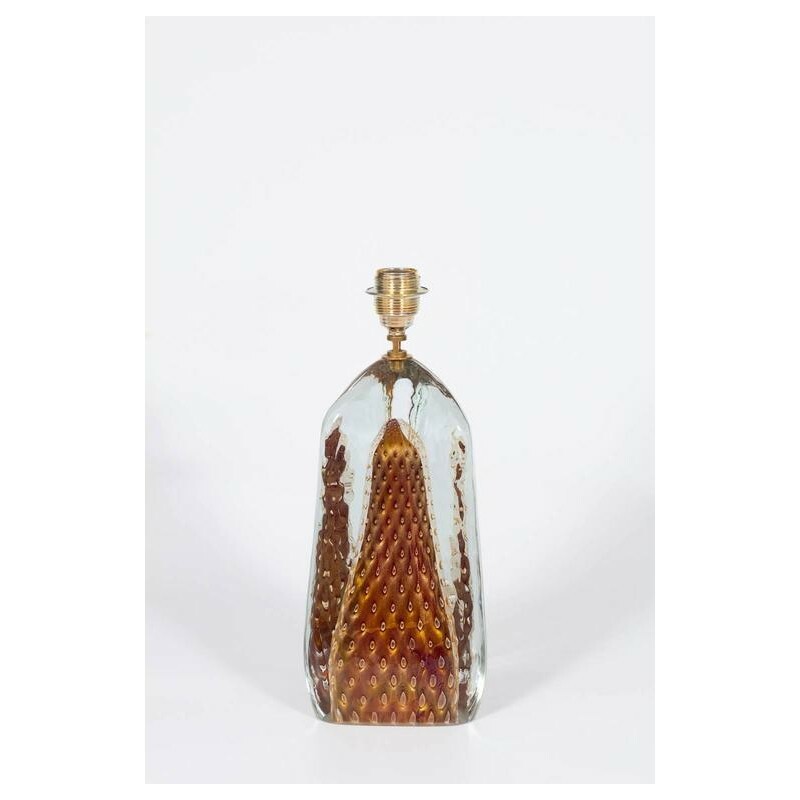 The table lamps have a very particular triangular shapeand an elegant brass frame. 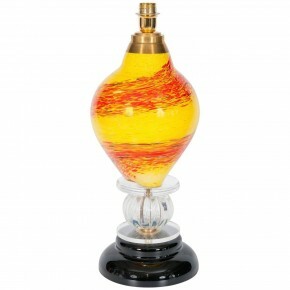 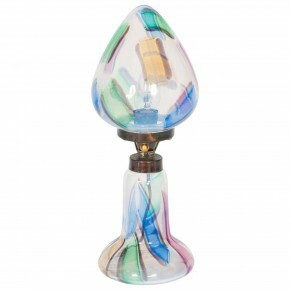 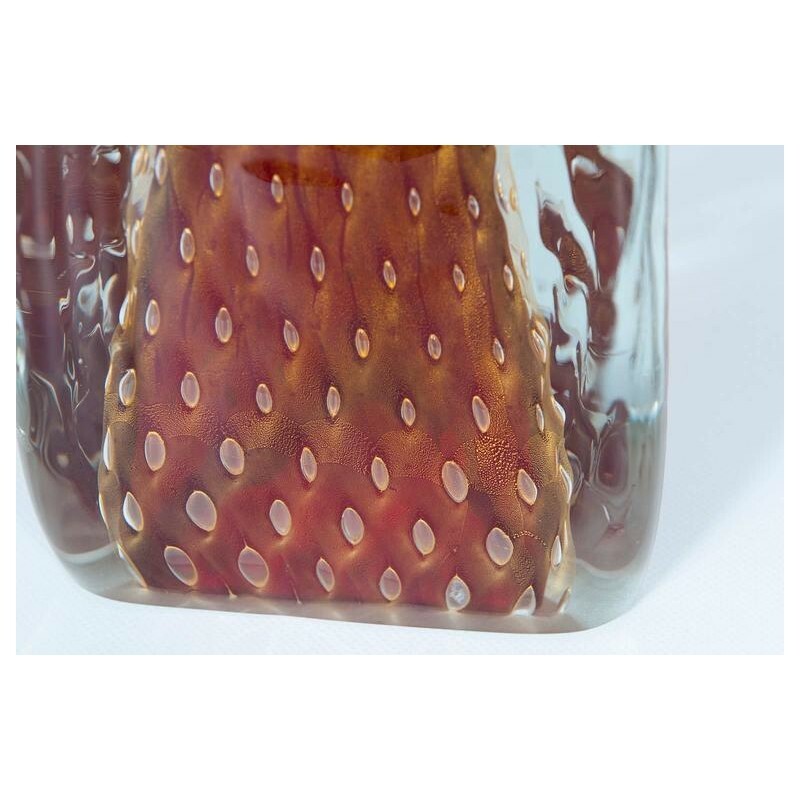 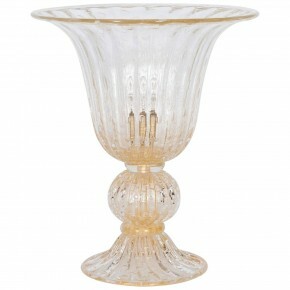 All parts were blown and handmade on the island of Murano, circa 1980s. 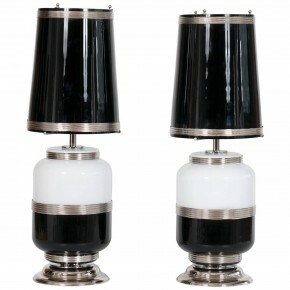 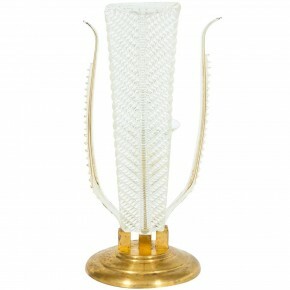 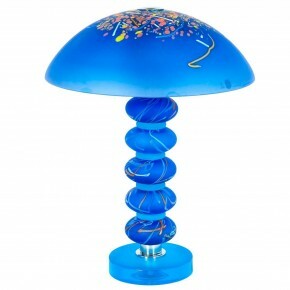 The table lamps are in perfect original condition. 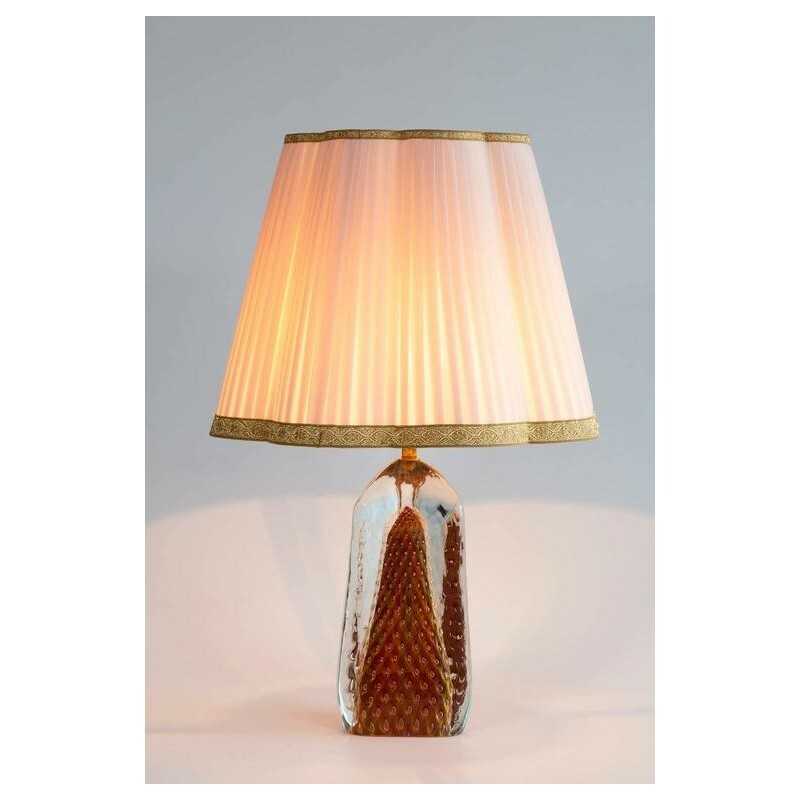 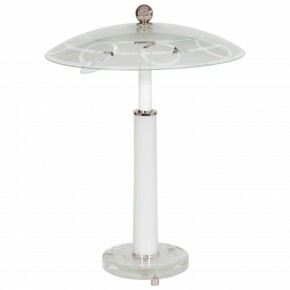 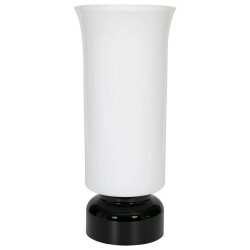 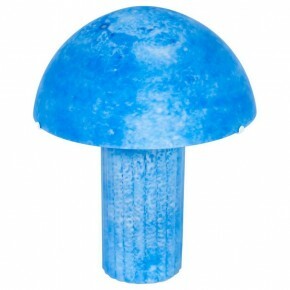 The lampshade is not included. 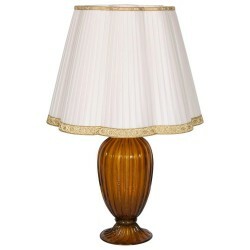 HEIGHT 42 cm / 16.54 in.